The increased mobility of the workforce is changing the way we work. Business users want the flexibility to share and collaborate on content that drives their business while IT needs to ensure the security of that data, no matter where it goes. An effective enterprise collaboration solution must consider people, processes and technologies to be effective, but where to begin? 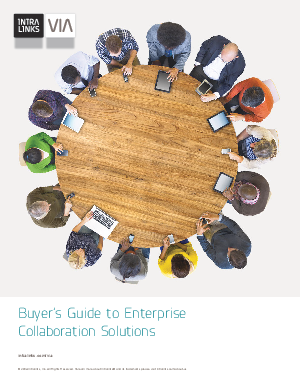 This Buyer’s Guide offers a holistic approach for your evaluation process by examining the granular aspects of enterprise file sharing, as well as infrastructure and extended collaboration, including Information Rights Management (IRM).